Emaar Malls, the shopping malls and retail business majority-owned by Emaar Properties, has recorded a 9 per cent growth in its net profit for the first nine months which surged to Dh1.639 billion ($446 million), compared to the Dh1.507 billion ($410 million) for the same period last year. Announcing the results for the January to September period, Emaar Malls said the revenue surged 29 per cent to hit Dh3.232 billion ($880 million) from Dh2.5 billion ($681 million) last year. Highlighting the sustained growth of the business, the company pointed out that its net profit for the third-quarter rose 10 per cent to Dh537 million ($146 million) comared to Dh486 million ($132 million) last year. The revenue for the period was Dh1.129 billion ($307 million), up 29 per cent over the figures of Dh876 million ($238 million) last year. Mohamed Alabbar, the chairman of Emaar Properties, and board member of Emaar Malls, said: "As the world’s fourth most visited destination, Dubai serves as the retail gateway for over 2.5 billion people who are only four hours flying distance away. Emaar Malls is leveraging this growth opportunity through our retail and leisure destinations that have set industry benchmarks and contribute significantly to the local economy." "The positive performance of the business reflects the success of our strategy to evolve in line with the aspirations of the new generation of customers," he noted. "Today, with its malls and community shopping centres, Emaar Malls has a total GLA of 6.7 million sq ft, making it one of the largest mall operators in the world. The occupancy levels of Emaar Malls assets during the first nine months of 2018 stood at a robust 93 per cent," he said. According to him, Emaar Malls continued to set impressive visitor footfall, contributing to Dubai’s retail, tourism and hospitality sectors. Together, The Dubai Mall, Dubai Marina Mall, Souk Al Bahar, Gold & Diamond Park and the various community centres, welcomed 99 million visitors during the first nine months of 2018, he added. 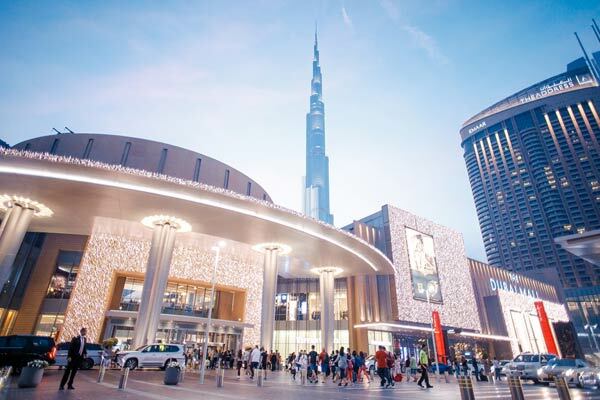 Emaar Malls CEO Patrick Bousquet-Chavanne said: "The performance of the business in its first nine months remained strong with robust occupancy levels at 93 per cent across Emaar Mall assets. We are particularly pleased to see the sustained growth in visitor footfall of The Dubai Mall with a four per cent increase in the first nine months to 60 million." "As we now prepare to mark the 10th anniversary celebration of The Dubai Mall this November, our focus will continue to be to ensure that our malls are relevant and modern, to increase the dwell-time of visitors and to keep our guests entertained," he noted. The Dubai Mall alone recorded a visitor footfall of 60 million during the first nine months of the year. This was driven by the recently expanded Fashion Avenue, adding over 150 international brands, as well as a diverse calendar of activities aimed at welcoming international visitors. The mall is also gearing up for its tenth anniversary celebrations, in addition to its ongoing Sheikh Mohammed bin Rashid Boulevard expansion that links it to the Sheikh Mohammed bin Rashid Boulevard as well as the Fountain Views and Zabeel extensions, he added. With the successful inauguration of Springs Souk in Q2 2018, Emaar Malls started redevelopment of Meadows Village to increase the GLA of approximately 75,000 sq ft which will enhance retail experience for the community when completed in 2019. Further, as part of its omnichannel retail strategy, Namshi, the leading Middle East online fashion retailer acquired in August 2017, recorded online sales of Dh607 million ($165 million) during the first nine months of 2018, an increase of 18 per cent over the same period in 2017. In strategic new developments, Emaar announced Dubai Square, a retail metropolis of the future in Dubai Creek Harbour, the six square km development by the historic Dubai Creek. A 2.6 million sq m retail, hospitality and residential district for the future, Dubai Square integrates indoor and outdoor to create a social retail experience like no other. Designed for the new generation of customers, it will offer a gross retail space of over 750,000 sq m (8.07 million sq ft) and serve as an experiential playground for the world’s leading fashion, luxury, lifestyle and tech brands. Emaar said it is marking significant progress in the development of the Dubai Hills Mall in Dubai Hills Estate, which will have a GLA of over 2 million sq ft, and be home to over 650 retail outlets including ‘fast fashion’ retail stores, restaurants and cafés.